In our seventh year of writing and publishing The Energy Regulation and Markets Review, we have seen dramatic changes in global energy policies. Europe has experienced a strong economic rebound, which has allowed many countries to dedicate increased resources to the infrastructure needs of the energy sector, including for renewables. While the United States commenced efforts to withdraw from the Paris Agreement, the signatories to the Paris Agreement countries have continued to make efforts to reduce greenhouse gases (GHGs). There is still a significant need to invest in infrastructure, and we have seen significant investment throughout the supply chains in the oil, gas and power sectors globally. The 2011 Fukushima nuclear incident continues to impact energy policy in many countries, and we continue to see extensive liberalisation of the energy sector. Oil prices have started to rebound somewhat, which presents some hope to those countries that remain dependent upon oil prices for national revenue. David Schwartz is a partner in the finance department of Latham & Watkins’ Washington, DC office. He serves as global chair of the energy regulatory and markets practice, is a member of the project finance group, and is co-chair of the firm’s global power industry group. He has extensive experience representing entities involved in electric generation, transmission and distribution, electric and gas marketing and trading, and gas transportation and distribution. Mr Schwartz has been active in the formation of the developing electricity markets in the United States; led transactional and regulatory teams in mergers and acquisitions and divestitures of energy companies and assets; litigated contract, rate and transmission access disputes; and drafted federal and state energy legislation. 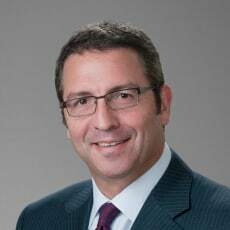 He also has extensive experience in negotiating power purchase and sale agreements, electric transmission agreements, natural gas transportation agreements, energy management agreements, and electric and gas interconnection agreements. Mr Schwartz regularly advises clients on energy matters before the Federal Energy Regulatory Commission (FERC), various state public utility commissions, the US Department of Justice (DoJ), the Federal Trade Commission (FTC), the Securities and Exchange Commission (SEC), the Commodity Futures Trading Commission (CFTC) and the Department of Energy (DoE). Mr Schwartz is regularly named as a leading energy lawyer in Corporate Counsel magazine, The Best Lawyers in America, The Legal 500 – United States and both the global and the US Chambers & Partners guides to leading business lawyers. Mr Schwartz is a member of the American Bar Association and has held leadership positions in the Energy Bar Association.